Savvy shoppers know that coupons on products from Kraft Foods and other manufacturers can result in significant savings, and the smartest military shoppers know that the place to go for the biggest savings is the #1 military shopper website – MyMilitarySavings.com. We are proud to offer members of our Armed Forces and their families the opportunity to stretch their dollar and save as much money as possible on items from the Commissary and Exchange Stores. That’s why we partner with manufacturers like Kraft to offer coupons that will maximize each purchase of family favorites like crackers, cookies, soups, and more. On our “Coupons” page you will find savings on beverages, food, health and beauty items, and more. You will also find valuable resources, like a link to the Department of Commissary Sales (DeCA) website where you can access your Commissary Rewards Card, as well as a link to Coupons.com for even more savings. Our “My Commissary” page features dozens of up-to-the-minute savings and discounts on family favorites like chips, snacks, and household goods that you can add to your shopping list for savings when you hit the store. The “MyExchange” page features coupons for and discounts on beverages and other items at any of the Exchange stores. But you’ll find more than just money-saving coupons for Kraft and other brands when you join MyMilitarySavings.com. 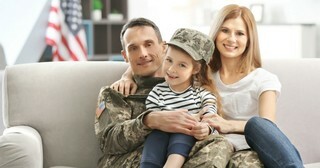 You will also find an online community of individuals who understand the challenges faced by modern military families. Our website features blogs written by military spouses, as well as recipes, household tips, a book club, and exciting contests. As if that wasn’t enough, we also have active Facebook and Pinterest pages where you can make new friends near and far. To learn more about saving money using coupons for products from Kraft and other fine manufacturers, join MyMilitarySavings.com today. Membership is free!